The young Chinese smartphone brand, QiKU, made its debut in India today by launching the Q Terra, dubbed as the 'The ultimate flagship' by the company. 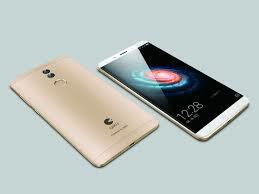 QiKU is a joint venture between security-based software company Qihoo 360 and Coolpad. Android 5.1 Lollipop with QiKU's 360OS running on top of it. The company rightfully claims that several of the performance and security features of Marshmallow are already baked into the latest version of the 360 OS. It also allows you to uninstall all the pre-loaded apps and services, except the dialer and the messaging. One of the highlights of the QiKU Q Terra is the dual camera setup. 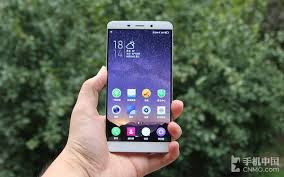 The phone features two 13-megapixel rear cameras and while one of the rear cameras captures photos, the other is a black and white sensor that captures the contrast and contours. The phone will be available both via an invite, called Q-invite, and in an open sale exclusively on Gadgets360. The phone will be available for invite holders for a price of ₹19,999 ($300), while others can jump the ship and buy it right away for a price of ₹21,999 without an invite. The events will roll out starting December 5, and the devices will be available for sale roughly two weeks after that. What do you think of the QiKU's maiden device in India? The Q Terra packs a punch and features top-of-the-line specifications at the price of a mid-tier smartphone. Let us know your thoughts in the comments.